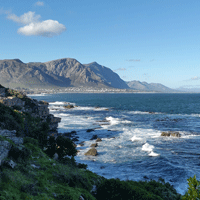 Hermanus first came into existence as a summer grazing area for livestock – before becoming famous for its fishing opportunities. Word then started to spread about its healthy sea air, which led to the opening of several hotels. The Marine was one of them – read on to find out more about its fascinating history. Rawdon decided to begin the search for a new custodian for this grand old lady, to bring her into a new century. 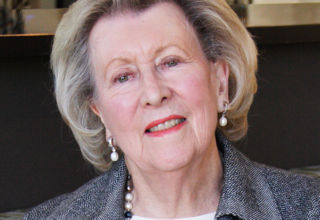 In 1998, Liz McGrath graciously accepted this responsibility, after having garnered international acclaim for her restorations of The Plettenberg and The Cellars-Hohenort. There was no one better suited to oversee the restoration of the oldest hotel in Hermanus, and the second-oldest building in town. After a busy eight-month restoration period, The Marine was reopened in October 1998 as a five-star hotel. The Marine was bought by David Rawdon, who subsequently closed it for four years for renovations. It reopened in 1985, and over the following 13 years regained its former fame and glory. 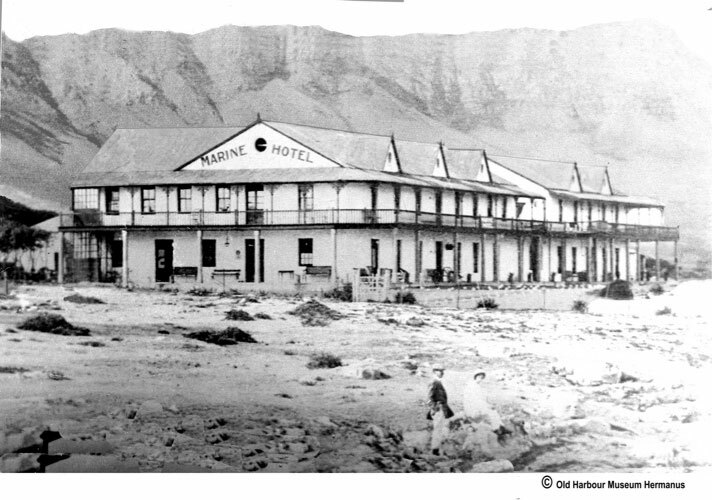 The hotel again changed hands, when Mr Hinder of Cape Town’s Arthur’s Seat Hotel bought it. He developed the San Marino on the adjacent plot. San Marino, which is still a part of The Marine, was established on the land of The Hermanus and included additional rooms, a casino and a ballroom. Continental Hotels and Restaurants bought The Marine and under the guidance of the General Manager at the time, Eric Colbeck, also purchased several cottages adjoining the property. The Hermanus was built on the land once occupied by the cottages. After a few years of post-war euphoria, however, business began to wane. 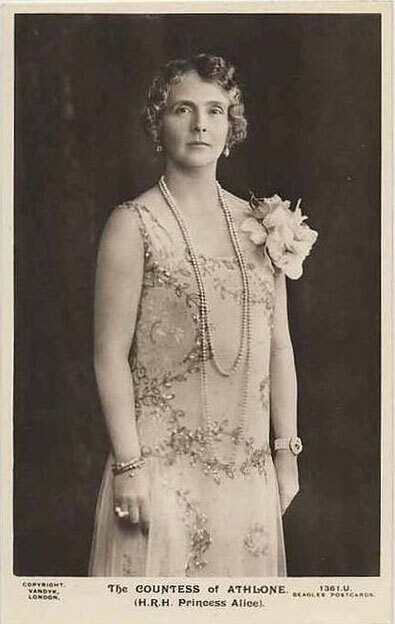 The Marine was visited by Princess Alice, Countess of Athlone. The Marine was expanded to include more bedrooms, a bathroom block and a larger kitchen. The popularity of the hotel grew along with its reputation for hosting grand affairs in its ballroom for the wealthy and well-known. Among them was Sir William Hoy, who stayed at the hotel annually for many years. Pieter Johannes Luyt (fondly known as P John), son-in-law of Beyers came to manager the Marine for this father-in-law. After a few years he bought the hotel from Beyers for £5 000. 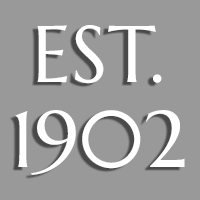 In 1908, Luyt bought another hotel, the Riviera. 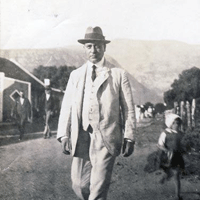 Walter McFarlane and his brother-in-law Valentine Beyers bought land from Willem Hoffman to establish The Marine. Though modest, the hotel was much grander than their first property, the Victoria. The Marine had just 21 rooms and no running water or electricity in the bedrooms; it did however, boast modern amenities – two flush toilets on each floor. 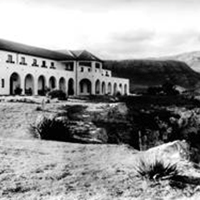 A sanatorium was built in the late 19th century by General Jan Smuts’ brother-in-law, Dr Joshua Hoffman and his brother Willem, which led to the notion that Hermanus’ ‘champagne air’ was able to cure a number of ills. This was converted to the Windsor Hotel at the turn of the century. Originally a summer grazing area for livestock in the early 19th century, the area gained popularity as a place for local shepherds to live off the fresh fish easily caught from the expansive Walker Bay, where the town is now situated. Word spread and by mid-century a small fishing village, named Hermanuspietersfontein, for the shepherd who had found the area, was established. Fishermen and travellers were quick to follow with news of the incredible fishing opportunities in the area, and soon accommodation in town was at a consistent capacity. 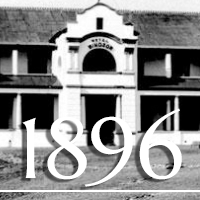 Several hotels came into existence in the following years, starting with Walter McFarlane’s fishing cottage, which later became the Victoria Hotel.